Alexander, C. & Hammond, T.C. (2012). Five-Picture Charades: A Flexible Model for Technology Training in Digital Media Tools and Teaching Strategies. 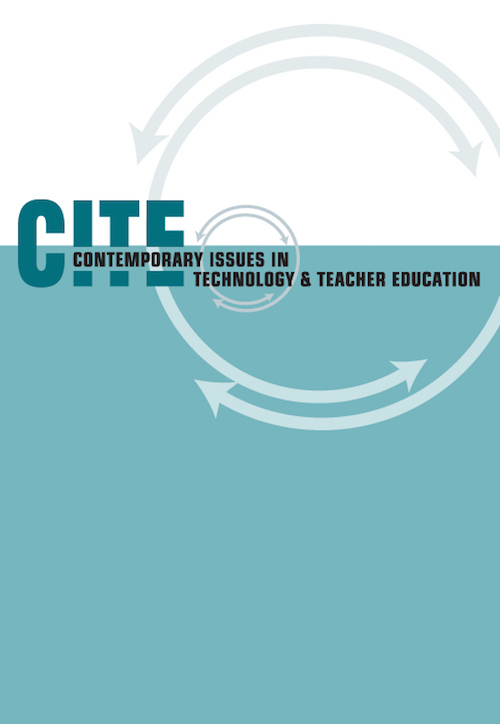 Contemporary Issues in Technology and Teacher Education, 12 (1), 55-70. Waynesville, NC USA: Society for Information Technology & Teacher Education. Retrieved April 19, 2019 from https://www.learntechlib.org/primary/p/34557/. Bower, B., Lobdell, J., & Owens, S. (2005). Bringing learning alive! The TCI approach for middle and high school social studies. Palo Alto, CA: Teachers' Curriculum Institute. Brush, T.A., & Saye, J.W. (2002). A summary of research exploring hard and soft scaffolding for teachers and students using multimedia supported learning environment. The Journal of Interactive Online Learning, 1(2), 1-12. Bull, G., & Bell, L. (2005). Incorporating digital images in instruction. In G. Bull& L. Bell (Eds. ), Teaching with digital images: Acquire, analyze, create, communicate (pp. 3-13). Dede, C. (2002). Augmented reality through ubiquitous computing. Learning and Leading with Technology, 29(8), 13. Ertmer, P.A. (2005). Teacher pedagogical beliefs: The final frontier in our quest for technology integration? Educational Technology Research and Development, 53(4), 2539. Gambrell, L.B., & Bales, R.J. (1986). Mental imagery and the comprehension-monitoring performance of fourth-and fifth-grade poor readers. Reading Research Quarterly, 21(4), 454-464. Hargrave, C.P., & Hsus, Y.S. (2000). Survey of instructional technology courses for preservice teachers. Journal of Technology and Teacher Education, 8(4), 303-314. Hofer, M., & Swan, K.O. (2006). Standards, firewalls, and general classroom mayhem: Implementing student-centered technology projects in the elementary classroom. Social Studies Research and Practice, 1, 120-144. Koehler, M., & Mishra, P. (2008). Introducing TPCK. In P. Mishra& M. Koehler (Eds. ), The handbook of technological pedagogical content knowledge for teaching and teacher educators (pp. 3-29). Mahwah, NJ: Lawrence Erlbaum Associates. Pressley, M. (1977). Imagery and children's learning: Putting the picture in developmental perspective. Review of Educational Research, 47(4), 585-622.